I wasn't fully certain what to expect when I came across Last God Standing among Angry Robot Books' NetGalley offerings. But the publisher has been rather good to me and quite the reliable source for interesting science fiction and fantasy novels. So I took the plunge added this book to my never ending reading queue. Last God Standing is another book that touches on the notion of the gods of old living among us - akin to books like American Gods and Anansi Boys. But as you can see from the cover, it's only natural to expect a somewhat lighter book given the inclusion of stand up comedy as part of the overall concept. I'm happy to share that this book was nothing like the Neil Gaiman explorations of the similar theme of gods in the modern world. It certainly had some logical similarities, but on the whole it was an interesting read that certainly had its own path in things. And given this is a story told from the perspective of one of these gods, that also adds to the unique flavor of the book. 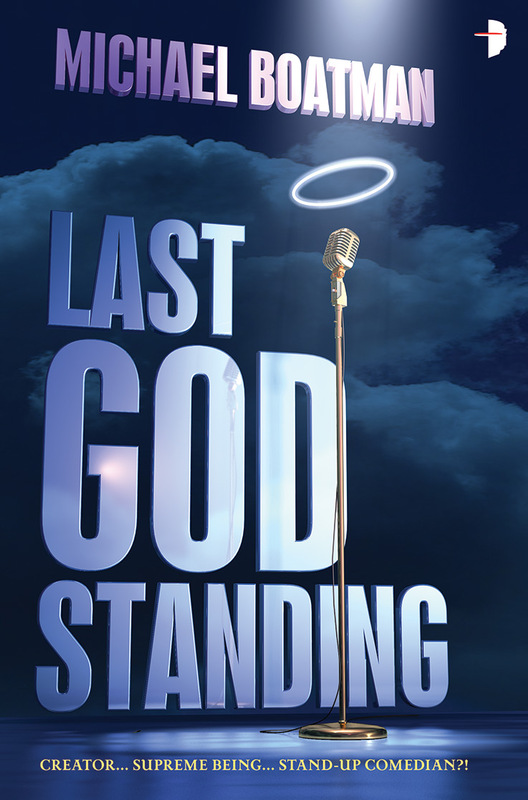 Synopsis: Last God Standing is a somewhat humorous fantasy novel written by Michael Boatman and published by Angry Robot Books. I'm a part of the Angry Robot Army review program and received a free copy of this title in exchange for my honest opinion of the work. Lando is a struggling stand-up comedian. He is also the God of the Hebrews (or Yahweh if you will) made mortal. Apparently the old gods of all pantheons agreed some time back to give up their powers and step aside in favor of humanity destiny defining its own path forward. And thus far Lando has only had Connie, who is also the Changing Woman of Navajo and Apache legends, as his primary guardian and companion and conscience. But things aren't all quiet in creation and somehow some of the old gods have come into new sources of power and have quite the bone to pick with Lando. And while he has limited access to his former divine aspects, wielding such power is difficult in his mortal form and leaves him one major hangover once all is said and done. But he's going to have to call upon his divinity more and more as every single god on the block seems determined to usurp his abandoned role for themselves. The tone of the book is the kind of snide, self-effacing humor that one would expect from a stereotypical Jewish man - which was fitting enough, I suppose. It was decently funny here and there but it's hard to sustain true interest through an entire novel of that kind of a tone. To be fair, things sort of taper down when the action really starts but that's just talking about the humor. Or something like that. I really appreciated the whole divine aspects angle to things - how each god is able to manipulate different versions of themselves as immortalized throughout history. It was a nice way to account for the different versions of each god that has been crafted with the passage of time. Definitely a nicely clever bit. Things get weird when Boatman tries to be deep when he tries to tackle the more higher concept stuff related to his view of the gods. As he tries to explain some of the nuances of their power and how all this ties to the intangible shared human unconsciousness or whatever, yeah it becomes a little easy to get lost. There's a different between nicely lofty, poetic writing versus confused, trumped up word play. And some of his passages dance a lot between the two aspects. Last God Standing is a nicely clever take on the whole god story genre but not quite as polished as one could hope. Perhaps Boatman will still grow into his own when it comes to how he writes such stories, but it's not a total loss that this book was made. So the book gets 3.5 fierce god battles in the middle of major metropolitan areas out of a possible 5.